Sony Xperia XZ Dual F8332 was launched back in 2016, which came with Android 6.0.1 Marshmallow and Xperia UI on the top. Sony has scaled it in order to keep the experience fairly light. Now the device got Android 8.0.0 Oreo love from the OEM, and if you own this smartphone, then you should be looking for the new software update with firmware version 41.3.A.2.58_R3E weighing around 2.74 GB. You still have Sony’s own Launcher, app icons, Settings menu, and a built-in theme engine. But the majority of the UI looks closer to Stock Android. The device has started receiving Android 8.0 Oreo-based firmware from January 2018. The build number changed 41.3.A.2.58_R3E with all new features like Autofill, background app limiting, Smart Text Selection, picture-in-picture mode, Notification Dots, and new emoji. Please read the tutorial below if you’ve got a Sony Xperia XZ Dual F8332 lying around and you’re looking to try out the Oreo update. This post consists the step-by-step instruction to install Android 8.0 Oreo Official Firmware on Xperia XZ Dual F8332. We have carefully composed it for your sake. We have mentioned the important tools and Software download links below. Keep going through the text to grab and install it manually! 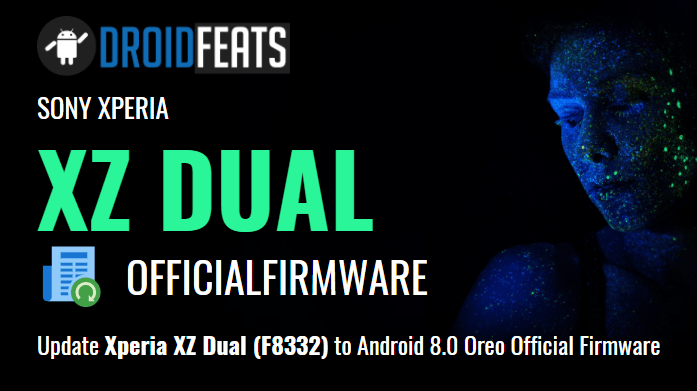 If you did not receive the update via OTA (Over-the-air) or you are in a Custom ROM, having a variant with an unlocked bootloader, you can update your Xperia XZ Dual F8332 to Android 8.0 Oreo Official Firmware using the tutorial below. 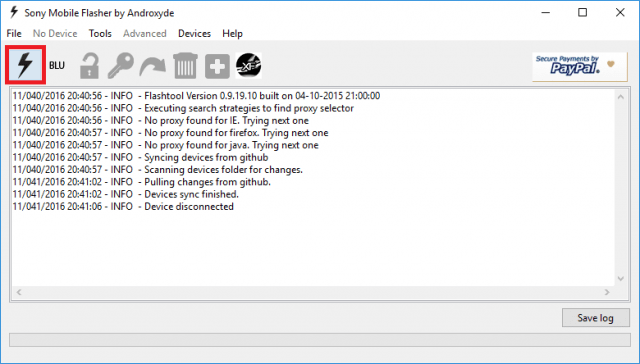 You’ll need to use Flashtool to install the over-the-air update files. (file links are given below). 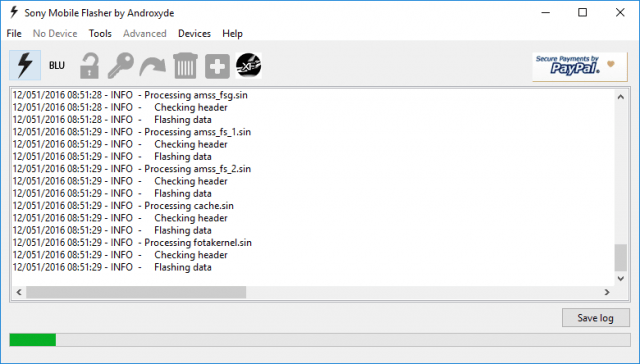 This guide wouldn’t be much difficult for you, considering that Flashing via Flashtool has been performed by you earlier. Here, we have covered the complete step-by-step tutorial in order to ensure our new users to perform the flash at ease without any trouble. We hope you love Android 8.0 Oreo Official Firmware for Sony Xperia XZ Dual. Certainly, we love it too, but before you look forward to install it on your phone, kindly go through the important information mentioned below before jumping on to start the tutorial. Download Official Android 8.0 Oreo for Xperia XZ Dual F8332 (FTF firmware file). Use the below decryption key to start downloading. 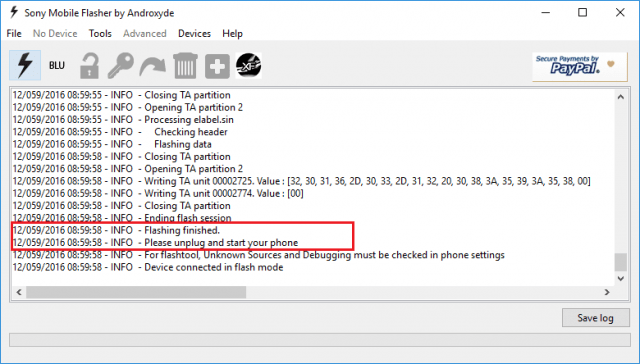 This guide is based on the Flashtool to install Android 8.0 Oreo on Xperia XZ Dual. So, before attempting the tutorial, make sure you have downloaded and installed the latest Flashtool [version 0.9.22.3 or above] software on your computer. We have mentioned full step-by-step instructions on How to Install Android 8.0 Oreo Official Firmware on Xperia XZ Dual F8332. If you are entirely new to rooting, flashing a Custom ROM or an Official Firmware, please read the entire tutorial once before actually performing it on your device. 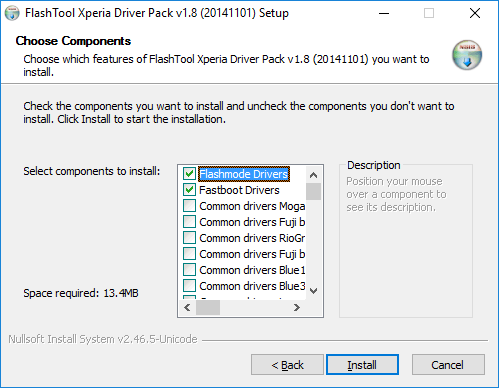 Step 1: You need to ensure that you have correctly installed all the driver on your computer for your Xperia XZ Dual. Make sure to download Sony PC Companion from the above-given link. Select “Flashboot” and click “OK”. 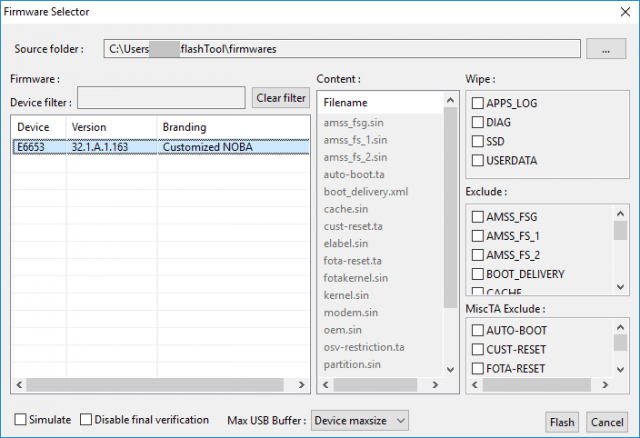 Step 6: From the firmware panel, select the firmware build version that you want to flash on your Xperia XZ Dual. Step 7: Click on “Flash” button. 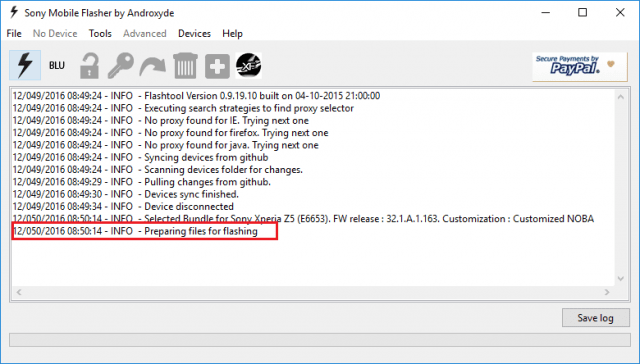 Flashtool will show an INFO: “preparing files for flashing”, on the log panel. You need to wait for 60 seconds for the “Wait for Flashmode” pop-up to appear. 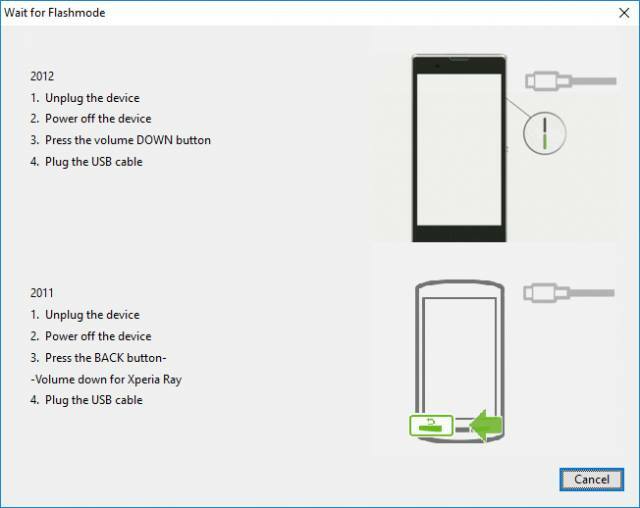 Once it does, connect your Xperia XZ Dual to the computer via USB cable. Once you see “flashing finished” in the INFO message as shown in the image below, your Sony Xperia XZ Dual F8332 has been successfully updated to the latest Android 8.0 Oreo Official Firmware. Hurray! Your Sony Xperia XZ Dual F8332 should have got Official Android 8.0 Oreo installed by now. Go to Settings > About phone to verify.